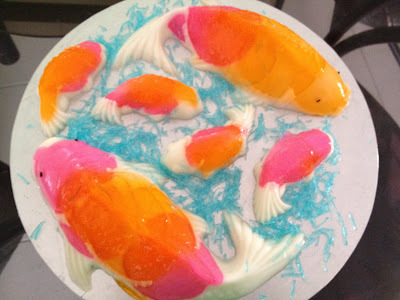 The Year of the Dragon is here and I would like to wish everyone a Happy and Properous Chinese New Year! What beautiful presentation! Wish you a great year ahead. LeeLee, wishing you xin nian kuai le, gong xi fa cai and 身体健康. 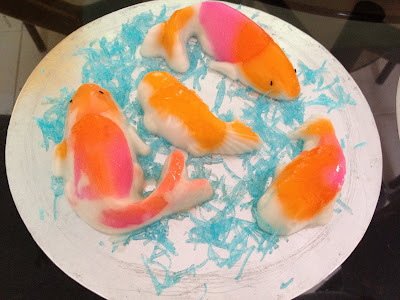 Interesting koi fishes! Happy New Year LeeLee! Long time no "see"! Beautiful fishes! 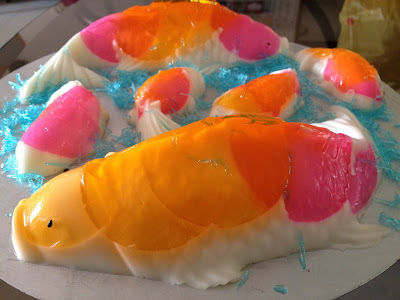 This is really neat, I love chinese new year themed desserts, that is how I found out about your site. It's pretty neat, I was able to replicate some crazy european cakes like a pro. Do you have tips for how you shaped the fish the way you did? What type of mold did you use and where did you order it from?